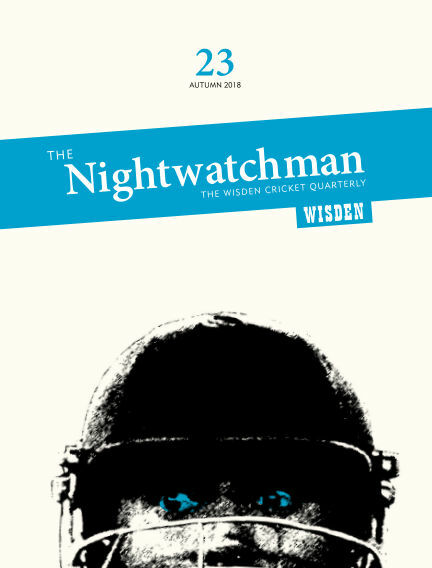 In this issue of The Nightwatchman : The Nightwatchman is Wisden’s cricket quarterly. Alongside well-known cricket writers, contributors include novelists, poets, musicians, historians, ex-players and even knights of the realm - all tied together by their passion for cricket. This is long-form cricket writing at its best and most beautiful. With Readly you can read The Nightwatchman (issue Issue 23) and thousands of other magazines on your tablet and smartphone. Get access to all with just one subscription. New releases and back issues – all included.